If you have borrowed money to buy a car or if you have leased, then you don’t own the said car ‘free and clear’. Even though you get to drive the vehicle, it can still be taken away through repossession in the event that you stop making your auto debt payments. But, Can I Get a Car Loan After Repossession? Let’s find out. What happens after your car is repossessed? 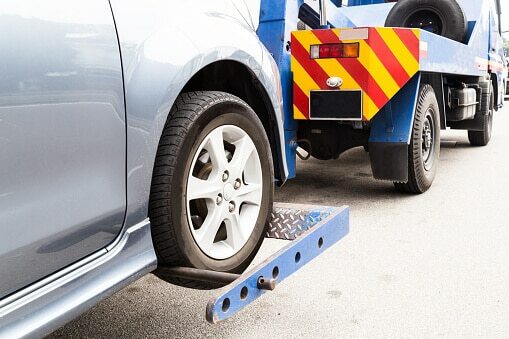 What are your rights after your car has been repossessed? Can I get a car loan with a repossession on my credit? What happens if I surrender my car? When the repossession of a car happens, it means that the bank or company leasing the vehicle are taking it away from the borrower. This is often done without any warning. Lenders might send a tow truck to come to take away the car or send a driver to collect it. In some cases, the lender may disable the car remotely so that you are unable to drive it until you have cleared everything up. Are You Considering Getting a Secured Car Loan? Before you take an auto loan, you need to agree to certain terms. For instance, you have to agree to make the necessary payments on time as well as keep adequate insurance on the motor vehicle. Failure to meet such requirements will warrant the bank or lender with the right to repossess the automobile. When your car is repossessed you will not only lose it but also your credit score will suffer and you will most likely owe significant fees. This is because a car repossession will show on your credit report for seven years whether you eventually get it back or not thus leading to lower credit scores. So can a repossession be removed from the credit report? The answer is no, not until after seven years. In most states, lenders are allowed to repossess the vehicle without giving any prior notice. Haven’t you heard of people stepping out of their places of work or homes only to find that their car is not where they had left it parked? Once you discover that your vehicle has been taken due to non-payments on your loan then you should make notes on the details of the event. This is because repo companies and lenders are also required by law to adhere to certain rules. In the event you find that your rights have been violated in any way, you should contact your lawyer and seek legal recourse because you are entitled to it. Physical assault or verbal abuse – This type of aggression is considered to be a breach of peace. Therefore, if you are threatened or harmed when the vehicle is being taken ensure that you take evidence of the attack. In this day and age, this should be easy especially if you have a smartphone with you. In addition to this, if you incur any injury you will need to see a doctor in order to document the incident. Items inside your vehicle are still your property – When the vehicle is being repossessed, any personal items inside it should not be kept by the repossession company or lender because they are still your property. In many states, your lender is required to provide you with a list of all the personal items that were found in the car when it was repoed. Even if they don’t do this you are still entitled to ask about your personal property and how you can get it back. Your personal property should not be damaged during the repossession – If the vehicle is locked up in the garage the people who have come to repossess it are not allowed to break your door down to get it. This would also be considered as a breach of peace and if peace is breached during a repossession, you are allowed to sue for damages. Similarly, you can also use the violation to support your defense if the lender sues you for a deficiency balance. If you are having trouble paying your auto debt and you have tried absolutely everything including asking your family and friends for a loan to help keep you on track, refinancing, negotiating new terms with your lender or even selling, then there are high chances that your vehicle will get repossessed. While repossession laws vary from state, most allow for the repossession of your vehicle anywhere both on and off your property without prior notice. In some states, lenders repossess the car as soon as you miss a payment while in other states lenders allow you some time before they repossess. Most of the times thou, you will receive a notice notifying you on the late payment in the form of an email or a phone call. Failure to pay or ignoring these notices will result in your car being repossessed. After your car is repossessed, the lender may give you some time usually around 30 days to reclaim the car. In some cases, the lender will allow you to reclaim the car after you have made the necessary payments. Most times, however, the lender will have you pay off the whole loan before you can reclaim the vehicle. After repossession, if you cannot reclaim the vehicle for some reason, it will be sold at auction and most likely for less than the amount you owe. After the auction, you will still owe the lender the amount on the loan plus a bevy of fees including for the repossession, storage, and even auction. Your car is most likely to be sold at auction once it is repossessed by the lender. However, they are required to tell you where the auction will take place and when. If you want to get the vehicle back then you need to contact the lender before you receive an auction notice. This way you may have some time, however small to arrange for a loan reinstatement or vehicle redemption. In the event that you are willing to let the vehicle go, you will still need to file for bankruptcy or at least prepare for what happens after the car is sold. Although your lender is required to sell the automobile in a commercially reasonable manner, the profits he or she makes from the sale may not cover your loan balance. If they don’t, make a profit, you will probably have to pay the difference also known as the deficiency balance. Failure to pay will result in your lender filing legal action against you. The lender took a long time to sue you and the statute of limitation has run out. The lender or repo company somehow breached the peace while taking the car as mentioned earlier. The car was not sold in a commercially responsible manner. This basically means that the lender sold the vehicle at a very cheap price. Getting auto financing assistance after repossession is hard but not impossible. Even though the repossession will reflect on your credit report for seven years, you may have to wait only a year to get another car loan. A repossession on your vehicle can be a major setback as you will not only lose the car but also seriously damage your credit. Considering the fact that a car loan has to be in default before the lender has a right to repossess it in most states, borrowers who have a recent repossession usually suffer their credit falling into the subprime range which is around 620 and below. While there are lenders who offer auto financing assistance to consumers with poor credit, their rules state that any repossession is at least a year old unless you filed a bankruptcy. Most subprime lenders will also not give auto loans to borrowers who have had more than a couple of repossessions on their credit report. While waiting a whole year may seem like a long time, it may not be entirely a bad thing. Keep in mind that a repossession on your credit report means that you have a lower credit score together with a bill for any balance owed as well as fees related to the repossession. This outcome should be an incentive for you to wait before trying for another auto finance assistance application. If you are facing repossession and you have absolutely no way of getting out of it, you can do one of two things; either surrender the car to the lender or let the repo agency come and take it. Even if you choose to voluntarily surrender the car for repossession the following will still happen. It won’t cancel out a loan – Just because you have given up your car to the lender voluntarily it doesn’t mean that your loan is closed. Following the repossession, the lender will still take the vehicle to an auction where it will be sold to help pay the loan balance. After the sale, any remaining balance is your responsibility. Your credit score will still be affected – If your car gets repossessed two things usually go on your credit report, the late payments and the repossession itself. Regardless of whether or not the repossession was voluntary, just how big of a hit your credit score takes will depend on your credit history as well as the current information on your report. It will still be difficult to get another car loan – If you have a recent repo on your current report even if it was a voluntary repossession, you still won’t be allowed to take out a new loan through a subprime lender until a year has passed. The only difference it makes when you voluntarily give up your vehicle is that you may avoid paying any towing or repossession fees. Failure to stay up to date with your car loan payments gives your lender ever right to repossess your car and sell it at an auction. Worse still, the repossession will cause your credit score to go down. However, you can undo some of the damage done by a repo by paying the debt you owe but it won’t be enough to erase it from the records. Since cars lose value over time, lenders view them as depreciating assets. Therefore, if you owe more on the car than what it is worth then your lender will lose money during the auction sale. The money acquired from the sale will only pay the loan balance meaning it will leave a residual balance that the credit bureaus will consider as past due debt. Just like the actual repossession judgment, the unpaid debt will always hang around your credit report for up to seven years. When you pay off a past due debt then your credit score ought to get a slight boost. However, don’t expect the credit bureaus and lenders to forget about all those late payments. Lucky for you, recent events have a greater impact on credit scores than old ones. Therefore, if you start and keep paying your bills on time then the repossession will ultimately stop dragging your credit score to the mud. When talking about outstanding debt, people like to use the words settling and paying interchangeably. From a credit perspective, these two words have very different meanings. Paying a debt means paying it in full while settling a debt means that you have reached an agreement with your lender to repay a portion of the debt. The remaining balance, however, stays on your credit report as an inactive but unpaid debt. This could cause other lenders to think twice about giving you an auto loan as it may suggest that you are unable or unwilling to repay debts. So needless to say, settling a repossession has little or no positive impact on your credit score. If you want to stop the repossession process from happening and keep your car, there are several options available to you depending on your terms of an agreement and your financial state. Your lender should explain to you in detail what your options are as well as the requirements and deadlines for each option. In order to put everything behind you, this might be an ideal option. This involves paying off the loan in full, which includes all the past due payments and the remaining loan balance, as well as covering all the repossession costs. In much simpler terms, you will just be buying the car and paying all the legal fees at once. However, this is not an easy option for many people as no one will have the money and still fail to make the debt payments. Redemption might make more sense if you have spent more money customizing the car or making significant upgrades. Your lender might sell the car through a public or private auction. In any case, they are required by law to tell you when and where the auction will be taking place. If the car is going to auction you can always try and attend and bid it back. In the event that you win, you will take possession of the vehicle and not be required to make any more payments but you will still owe a deficiency balance. If you file for bankruptcy before your car is repossessed you can still manage to temporarily stop the process from happening. Your filing will trigger an automatic stay and also stop collection efforts by your lender. Keep in mind, however, that this process is intricate and repossession is still a possible outcome if it is approved by a court of law. Consult with your attorney before you stop making your auto debt payments if you want to rely on bankruptcy as a means of protecting your car from being repossessed. Another option is to pay all your past due payments on your auto loan as well as all the repossession costs thus getting your loan reinstated. Even though you will be back roughly in the same position as you were initially before the repossession, you will get your car back. Keep in mind, however, that the default will still show on your credit report. But, as long as you continue paying your auto debt on time, the car will remain in your possession. After your car is repossessed by the lender and is sold off at an auction, you will be required to settle any difference between your loan balance and what the vehicle sold for plus any additional costs such as repo fees. If there is money that you owe the lender after the sale of the car, make sure you pay off the difference. Since most lenders will approve for a car loan after a year, if you have a repossession on your credit report, the best option is to wait it out. Subprime lenders are the ones who are most likely to consider you. However, the amount of time you have to wait varies with the lender. Apart from increasing the chances of your auto loan approval, waiting also helps repair your credit report as well prepare a budget. This is the first thing you need to do before you go looking for a lender. Make sure that you double check your credit reports and credit score. It is essential that you know where you stand credit-wise since the repossession will help you understand what type of auto loan you qualify for. You are entitled to a free copy of your report every 12 months from each of the three major credit bureaus so make good use of it. Once you get your credit report to ensure that all the data is correct, if not make a point of disputing any inaccuracies and get them fixed as soon as possible. When you are buying a car after repossession it doesn’t mean that you should settle for a substandard one. Remember, there are plenty of high-quality models out there. All you need to do is find the right lender to finance your auto loan after repossession. However, be keen on the saying ‘once beaten twice shy’ and avoid making the same mistake all over again. In addition to this, be realistic about what you can afford, don’t get a car that is too expensive instead, create a budget and see how much you can afford before even asking for the auto loan. Repossession can be a mess, but if you know how to properly clean after yourself both your credit score and financial situation will be stable in no time. Do You Know How Repossession Works?